It was a defining moment fueling the negative life formula we all know too well: Guilt + Addicted to Busy (see prior post) = I’M NOT GOOD ENOUGH. My friend’s daughter was inconsolable, but with the help of the teacher, they smoothed things over. 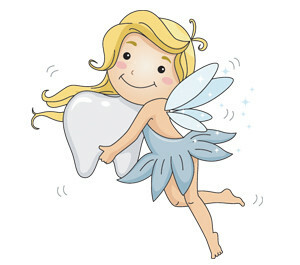 The Tooth Fairy came the next night with a silver dollar and the incident faded. But, years later, my friend recants this moment as if it happened yesterday. Acknowledging her daughter has forgiven her, the life formula became a pattern for my friend, and so many others. One mom tells of her efforts to get her son to soccer while she was supposed to be on an important conference call, both at the same time. In this case ineffective meant, you guessed it, not good enough. And really, haven’t we all been there? Something slips through the cracks and we beat ourselves up? Let’s change the formula above to: Mistake or Oversight + Love & Self-Acceptance = Positive Personal Growth (PPG – Remember this acronym). Let’s throw I’M NOT GOOD ENOUGH into the hazardous waste bin and try not to recycle it. As a Professional Life Coach, I use this life formula daily, and aim to live it by example, both at home and at work. It’s an on-going practice, but the PPG is well worth the effort. Have your own story, or formula for combating I’m Not Good Enough or other pointers for guilt-free living? Do Share!